Many people charged with felony or misdemeanor criminal charges and/or individuals defending Personal Protection Orders inquire as to the availability of text or SMS messages as evidence for or against them. This type of digital evidence is rarely available to the defendant or law enforcement without a court order requiring a cell phone company to preserve the evidence. A common tactic used by police investigators is to falsely claim that text message evidence will be or has been procured in an effort to trick a suspect into making an admission or incriminating statement. Despite the lack of availability of this type of evidence today, there is a push to force cell phone companies to store text messages for use in criminal and civil court proceedings. According to an article on CNET, the Major Cities Chiefs Police Association (MCC), and other law enforcement organizations, have urged Congress to require that wireless providers store text messages for at least two years. The MCC notes on its website that no specific time-period was requested, however. 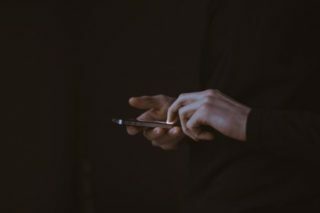 Because of the increasing popularity of text-messaging, the government believes that a wealth of evidence may be available in text messages and other digital communication. The cnet.com article cites one study which estimated there are over 6 billion text-messages sent each day in the U.S. Text-messages are also increasingly significant in civil and criminal cases. The different wireless providers historically have had widely differing policies for retaining text-messages. For example, as of 2010, AT&T, Cingular, T-Mobile, and Sprint did not retain the content of text messages. Verizon kept the content for five days, and Virgin Mobile kept the content for 90 days. The providers did keep the metadata, such as the phone-numbers, for longer periods, ranging from 90 days to 18 months. In the event you are charged with or suspected of a misdemeanor or felony offense and there are text messages that you are concerned about or that would help in your defense, please do not hesitate to call LEWIS & DICKSTEIN, P.L.L.C. at (248) 263-6800 to speak with a criminal defense specialist who will take the time to evaluate your case and determine what options may exist to help you. If you would like, complete a Request for Assistance Form and a criminal defense attorney will promptly contact you. The counties where the use of digital evidence by state and federal law enforcement is most common include: Oakland County, Wayne County, Livingston County, Washtenaw County and Macomb County.